TESSERACT: "Of Mind: Exiled", de Altered State, Century Media, 2013. 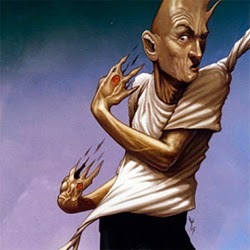 FREAK ZOID: "Destruction", de Freak Zoid, Uniblab Recordings, 2007. JOAQUÍN CHACÓN & MARIANO DÍAZ: "Yotsuya Station", de Skytrain, Errabal Jazz, 2014. 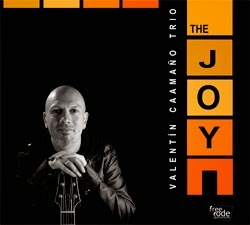 VALENTÍN CAAMAÑO TRIO: "Walkin'", de The Joy, Free Code Jazz Records, 2014. GONZALO TEJADA: "After You Get What You Want", de Norma Jeane Baker, Errabal Jazz, 2014. ALBERTO VILAS QUINTETO: "Albatros", de Crónica Cromática, Free Code Jazz Records, 2014. 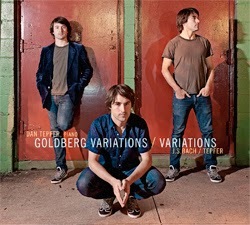 DAN TEPFER: "Improvisation 25" de Goldberg Variations / Variations, Sunnyside Communications, 2011. FLYING COLORS: "Open Up Your Eyes", de Second Nature, Mascot Records, 2014. MORAINE: "Fountain Of Euthanasia", de Groundswell, Moonjune Records, 2014. 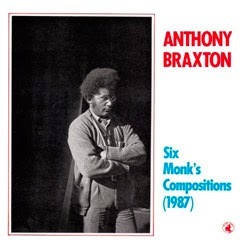 ANTHONY BRAXTON: "Skippy", de Six Monk's Compositions, Black Saint, 1988. 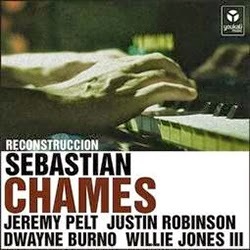 SEBASTIAN CHAMES: "6 Taboos", de Reconstrucción, Youkali Music, 2013. FELIPE VILLAR TRIO: "You Go To My Head", de Home, Free Code Jazz Records, 2014. EASTERN EYE: "Bulgarian Boogie", de Live At Moods, Texit Music, 2012. GWILYM SIMCOCK: "Overture", de Instrumation, ACT Music, 2014. INNA ZHELANNAYA: "7/5", de Izvorot, Inna Zhelannaya, 2014. STICK MEN: "Crack In The Sky", de Deep, Stick Men Records, 2013. MICHAEL BERNIER & RITCHIE DeCARLO: "Fugue", de Michael Bernier & Ritchie DeCarlo, Michael Bernier & Ritchie DeCarlo, 2014. DUSAN JEVTOVIC: "The Wall", de On The Edge, L'Indi Music, 2009. 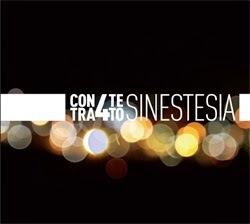 CONTRACUARTETO: "Ocasión", de Sinestesia, Animales En La Vía, 2011. JUYMA ESTEVEZ TRIO: "Bonus Track", de Océanos De Porcelana, Free Code Jazz Records, 2014. DAVID REGUEIRO SWINGTET: "How High The Moon", de ...On Stage, Free Code Jazz Records, 2014. 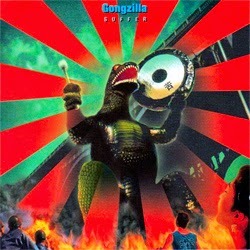 GONGZILLA: "Gongzilla", de Suffer, Lolo Records, 1995. 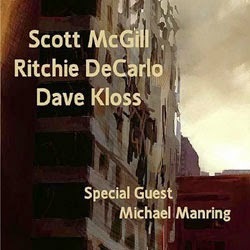 SCOTT McGILL / RITCHIE DeCARLO / DAVE KLOSS: "Metro To Thundercats", de Scott McGill / Ritchie DeCarlo / Dave Kloss, Uniblab Recordings, 2013. 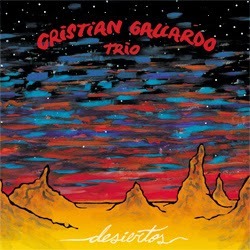 CRISTIAN GALLARDO TRIO: "Valeria Masa", de Desiertos, Cristián Gallardo, 2014. NEVERMIND: "Manías Mías", de Sustrai Barik, Errabal Jazz, 2014. PACO CHARLÍN: "Mr. Fakebook", de The Night Queen, Free Code Jazz Records, 2012. MARTIN TAYLOR: "Laverne Walk", de Don't Fret!, Linn Records, 1990. ABE RÁBADE: "No Niño Novo Do Vento", de VerSons, Nuba Records, 2013. OREGON: "Round Rabin" de Oregon In Moscow, Intuition, 2000.